Huzzah! 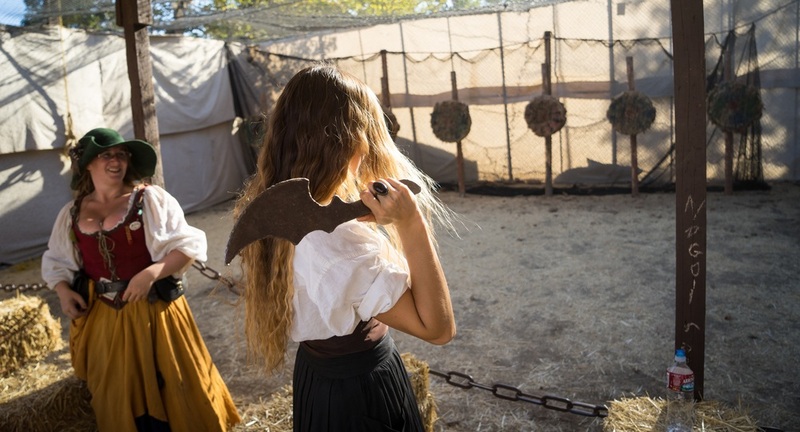 This year, we decided to visit friends in San Jose and go with them to the Northern California Renaissance Faire. Jeez it was so hot, but we still had a lot of fun. Behold! An empty road at 2am, winding through the chilled sand plains of southern California. A freight train roaring to our left lighting the night sky with beams of white. We match speed at 50mph and briefly become one machine. The stars are brilliant specks in the blackness above, and the crescent moon hangs orange and unusually enormous. The conductor lets out a shrill whistle, and I accelerate on into the night. This is the scene that greets me upon my arrival to Niland, CA. My only regret is I didn't have the opportunity to photograph it. Probably the most recognizable structure at LAX, the Theme Building's wide arches and UFO-like appearance scream retro-futurism. It is currently unoccupied, but the most recent tenant, the Encounter Restaurant, certainly left its mark. Designed by Walt Disney Imagineering in 1997, their new interior added even more retro chic with bright colors and groovy patterns.